On Wednesday I just didn’t feel like making a lunch so I headed over to the food truck gathering place on UCLA campus. 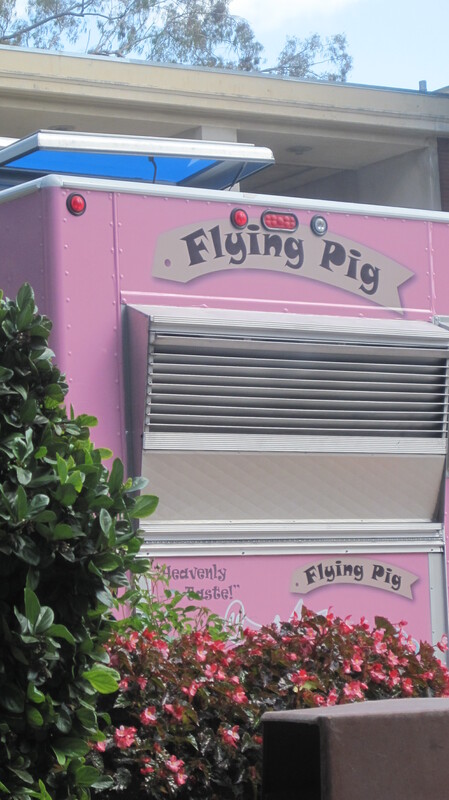 The Flying Pig truck was there! Its Asian/French fusion tacos so I thought I would give it a try. The menu mostly consisted of tacos and other small plates. I ordered two tacos and the sliders. I had read that the portions were small so I ordered a lot. 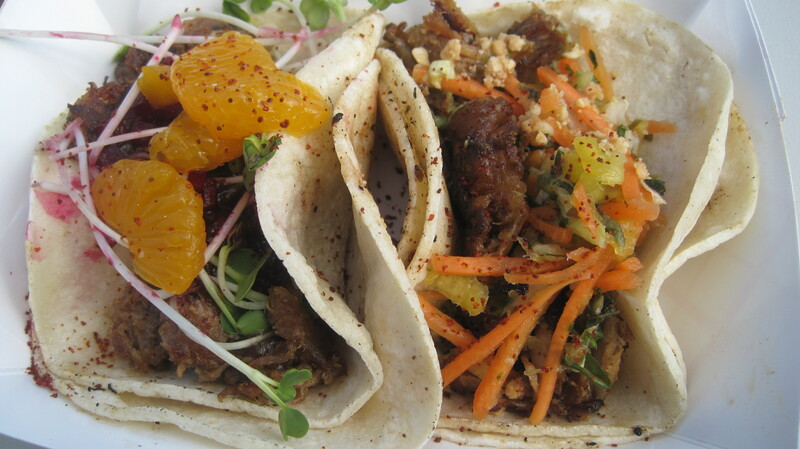 The taco on the left is tamarind duck with toasted almond, pickled beet salad and the taco on the right is smoked chicken with green curry, napa slaw. I preferred the chicken but the duck taco had tons of flavor. The maderian oranges really topped the flavor off nicely. The sliders were also pretty good, although I got full and only had one. 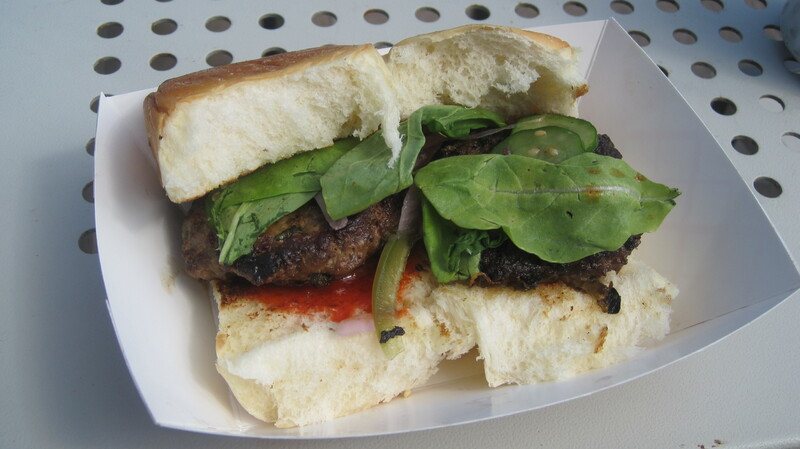 The bun was like a soft butter roll with a red sauce that was similar to ketchup but so much better! It also had pickles and pork. So delicious! I will hit this truck up again when it comes to UCLA!